PREVIOUSLY: Part IV— Broadway Tastes Rock Music points out the fluke of “Hello, Dolly!” and the first instance of Broadway rock music topping the charts. John Travolta and Olivia Newton-John’s single “You’re the One That I Want” proves to be a curious case not only because it is from the movie musical genre, but also because their rendition is original and not a pop cover. In the study of Broadway songs charting at #1, most lists would end here. In terms of musical theatre songs moving from stage to single, that would be accurate. Several other songs that charted at #1 not only fall within the parameters of ‘musical’, however, they are too significant to ignore. The main difference is that they come from the ‘movie musical’ genre. They will be included here for one main reason: precedent. Though these case studies deal with songs that moved from the world of musical theatre to the world of popular music, to say that the relationship between movies and musicals was anything less than symbiotic would be to cut out a large part of the genre’s history, especially during the 1930’s when a number of Broadway’s top talent joined in the mass exodus to Hollywood. Such figures as Cole Porter, George and Ira Gershwin, and Irving Berlin all took leaves of absence from the stage to do studio work during the Great Depression. Composers like Harold Arlen enjoyed a balance between Hollywood and Broadway and moved freely between them. Therefore, the movie musical is an extension of Broadway. Who would deny that the original motion picture of The Wizard of Oz is indeed a musical? In the cross pollination of this art form, many shows are now movies and so the point may be mute, but this brings up the important fact that in many cases, the movie versions helped spark the popularity of some songs. A number of movie musicals contained songs that charted on the Hot 100 and were the catalysts for that song’s popularity or resurgence. Therefore this sampling of #1 hits fast forwards to 1978 with the release of the movie musical Grease. The film turned out to be a success in every way possible; it not only proved to be a blockbuster, but it also produced four songs that charted that year, two of which hit #1. Both of these songs—“You’re the One That I Want” and “Grease”—were written for the movie by John Farrar and Barry Gibb, respectively. 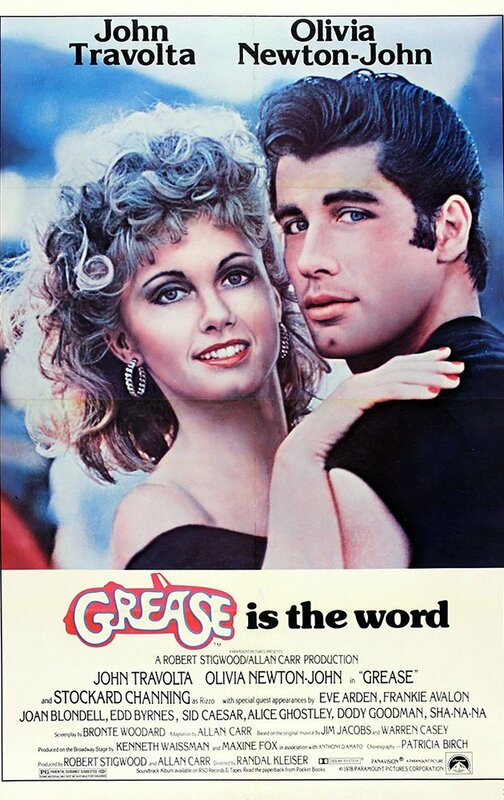 “You’re the One That I Want” is significant in that the version that was released as the single features the stars of the film—John Travolta and Olivia Newton-John—singing the song exactly as they do in the show. Like “Aquarius/Let the Sunshine In,” the structure of the song is verse-chorus, and the style is unabashedly rock. Though “You’re the One That I Want” lasted only a week at #1, the release of the second single, “Grease,” climbed the charts in the weeks following and topped out two months later for two weeks at #1. Frankie Valli recorded this single for the movie’s opening sequence. The two other songs from Grease previously mentioned as having charted that year were “Summer Nights” and “Hopelessly Devoted,” though they did not reach #1. With four charting singles from a show, Grease is not only one of the most successful movie musicals ever, but is an indicator of the relationship with rock music in order for a musical theatre song to successfully chart. Cynics might also use Grease—as well as Hair—as an example that Broadway is consistently twenty years behind the musical taste of America. 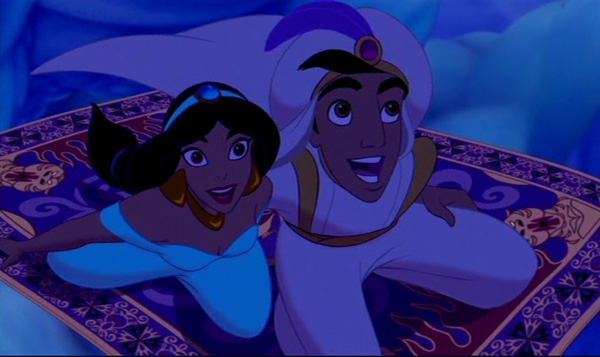 Aladdin and Jasmine’s love ballad “A Whole New World” was the second pop cover Disney released in the 1990s following the title song of “Beauty and the Beast” by Celine Dion and Peabo Bryson. The final song to explore in the course of #1 hits on the Hot 100 deals with yet another outlier in terms of traditional musical theatre but one that is nonetheless too powerful to ignore. When it comes to modern creators of American musical theatre, few are as powerful as the Disney Corporation. Beginning with The Little Mermaid in 1989, Disney ushered in a new era of the animated musical and continued it with Beauty and the Beast in 1991 and Aladdin in 1992. They are included in this discussion for two reasons. First, in terms of construction, they employ the same process and techniques that a live stage version employs; they build plot and develop characters through songs and dances. Secondly, the latter two films released singles from the movie featuring pop stars to accompany the film. These tracks were created with the intention of crossing over on to the pop charts. With both Beauty and the Beast and Aladdin, the song chosen for this task was the love ballad. Celine Dion and Peabo Bryson recorded a duet version of the title track, “Beauty and the Beast,” which came in at #73 for the year 1992. For Aladdin, Peabo Bryson and Regina Belle recorded “A Whole New World.” (Bronson 2007 440-441). The latter song is of most interest to this discussion because the song bumped a fourteen-week run of Whitney Houston’s “I Will Always Love You” from the number one spot for one week in March of 1993. The writers of “A Whole New World”—Alan Menken and Tim Rice—are now well-known names to those who know the Disney canon, but at the time, they were a new team. This love ballad was one of the last things written for the show (Bronson 2003 814). Though the overall structure of Aladdin is precisely what one would expect in terms of exposition numbers, production numbers, and specialty numbers, the main love ballad proves to be unique in both new and old ways. It is new in that it employs a pop song form of verse-chorus-verse-chorus-bridge-chorus, but it is old in that—like so many songs of the Thirties and Forties—the text is not specific to the show. Peabo Byrson and Regina Belle’s “A Whole New World” bumped Whitney Houston’s “I Will Always Love You” in 1993. The song can be lifted out of the context of Aladdin and Jasmine’s blossoming courtship with very little to-do. A line addressing the female—“Tell me, princess…”—seems like a term of endearment instead of actual royalty, and a reference to a “magic carpet ride” seems more metaphoric than literal. 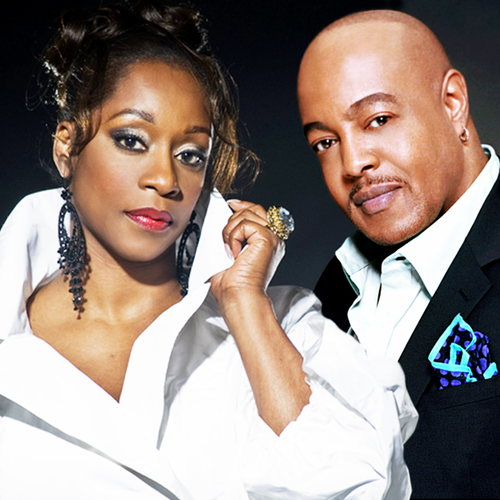 Singers Peabo Bryson and Regina Belle give the song an R&B treatment. Having considered these last three songs, we now arrive at the end of the number one musical theatre songs on the Hot 100. Tracing song form, we do see a shift from older song structures—Tin Pan Alley form (AABA) with songs like “Smoke Gets In Your Eyes” and strophic (AAA) like “Mack the Knife”—to the newer pop structure of verse-chorus-verse-chorus-bridge-chorus. “Age of Aquarius” acted as a transition in that process before arriving solidly in the form with “You’re the One That I Want” and “Grease.” Two decades later, “A Whole New World” re-confirmed that song form on the charts. It also demonstrates that to successfully chart, a modern musical theatre song must embrace rock elements within the pop song form. In addition, a musical theatre song increases its chances of success by not placing itself too firmly within its own show. Some scholars may quibble about whether or not to include the movie musical genre and the Disney genre within the realm of musical theatre. For now, we will accept them as part of the musical theatre family. “A Whole New World” is an intersection of Disney, Broadway, and pop; it is precisely that intersection that makes this study worthwhile, keeps Broadway relevant, and contributes to the total survival of musical theatre. All research conducted by Bradley J. Behrmann at San Diego State University (SDSU) and submitted on December 11, 2014. Findings presented at the Student Research Symposium at SDSU on March 6, 2015. Subsequent presentation at the Musical Theatre Educators’ Alliance Conference at Western Australia Academy of Performing Arts in Perth, Australia on June 22, 2015. Bibliography published in final installment.